Top Cyber Monday audio gear deals: Levitating speakers, headphones and more! There’s never been a better time all year to upgrade your audio gear. To ring in Cyber Monday, we’ve got a bunch of great speakers and headphones for you to enjoy your music collection with. Sounds like your cup of tea? Tune into our offers at TNW Deals now! Oh, by the way, be sure to use the coupon code HappyCM10 for an extra 10% off everything in our deals store! This isn’t just a crazy concept: the Om/One Levitating Bluetooth Speaker is for real, and on sale to boot! Pair it with any Bluetooth device for powerful, deep sound from the 3 watt RMS amplifier, and watch your friends’ jaws drop as it magically floats in mid-air above its base. Heading out? Grab the orb for great audio to go. Only $179.99, with free shipping in the US. Want a speaker that’s portable and looks great on your bookshelf too? The PWS features a luxurious walnut enclosure that adds a touch of class. It also features the award-winning Waves MaxxAudio sound processor and a patented bass isolation system for immense power and clarity, no matter what you listen to. Get it now for just $199, shipped free across the US and Canada. 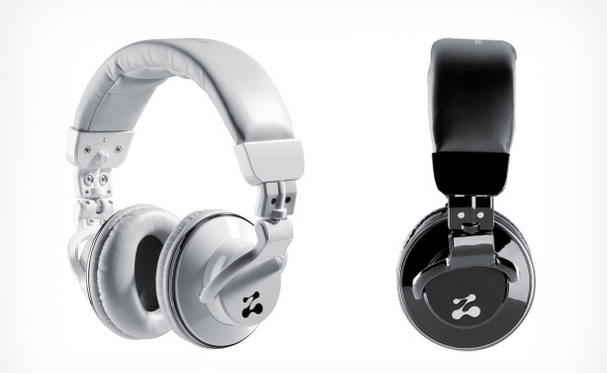 If you’re the sort who puts their headphones through hell, this is the pair for you. Featuring full-spectrum sound from 40mm premium drivers and military-grade cabling, the Zipbuds SELECT Premium Travel Headphones are built to take a beating. Equip yourself for only $79.99 with free shipping in the US. Style, convenience and DJ-approved sound in one package? You bet. AIAIAI’s celebrated TMA-1 headphones offer brilliantly accurate audio in a sleek package, with clever features like a cable lock, adjustable earcups and a three-button remote and mic. Get the party started for only $159 with free shipping across the US. Crystal-clear sound, wirless convenience and sleek design come together in this highly-praised pair of headphones from MEElectronics. Pair them with your phone to enjoy music and take calls on the go, or plug in the included cable to your iPod or laptop and rock out all day long – for just $44.99 with free shipping in the US. Don’t underestimate this tiny speaker: Soundfreaq’s Pocket Kick features custom-engineered drivers and a passive radiator that are specially tuned to produce pristine audio, for up to 10 hours on a single charge. Get it now for only $74.99, with free shipping across the US!